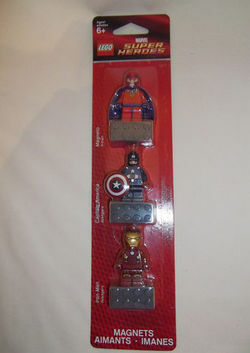 850508 Marvel Magnet Set is a Marvel Super Heroes Magnet Set released in 2012. While this has been shown on Ebay and is on Brickset, it is unknown where and how it was released. Facts about "850508 Marvel Magnet Set"
This page was last edited on 15 March 2016, at 06:14.